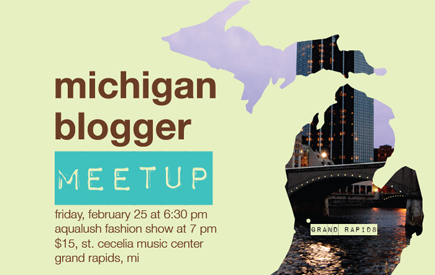 Attend the Michigan Blogger Meetup! Hi guys! There is an upcoming fashion show put on by Bodies of Art on Friday, February 25 in Grand Rapids (Michigan!) and so I thought it would be fun to put together a little blogger meet up. (Anyone is welcome, even if you're not a blogger!) We could meet up beforehand, grab outfit shots, catch the show at 7 pm and head out afterwards for snacks and drinks! If you'd like to come, please RSVP as soon as possible so I can purchase tickets before they sell out. They are $15 for the ticket, so I can accept payment via Paypal and hold your ticket for you! You can email me at tieka@selectivepotential.com or comment back here! I'll also be doing a purse giveaway from Shop Ruche and Le Mode Accessories! Plus goodie bags with items from Le Mode Accessories + more! Looking forward to it! To put in your blog, just copy the code below and paste into your blog! Say you're attending at our Facebook event page! 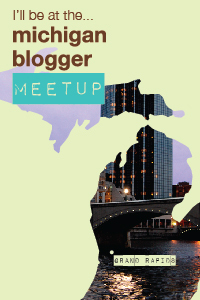 Use the Twitter hashtag: #MIblogger!